These are the Best Practices in Access focused on increasing Hispanics’ access to higher Education. Below is a table listing the presentations selected to showcase during the conference. Please refer below for the official time schedule of this track. Establishing the first Virtual University in Puerto Rico. This presentation discusses the establishment of the Ana G. Mendez University-Virtual Campus AGMU-CV, a 100% online institution in Puerto Rico. Information about the history and background of the Ana G. Mendez University System from its inception, its goals and academic offerings. AGMU-CV is the first higher education institution of its class in Puerto Rico will be provided. We place high emphasis on instructional design, high quality student services and its graduate academic programs. This session will cover our educational approach which entails Competency-Based Education and Dual Language. The objective of this presentation is to introduce the Ana G. Mendez University- Virtual Campus as an option to Hispanic professionals in the Hemisphere that looks at pursuing graduate studies. A Hybrid Social Work Distance Education Program and Access to Social Work Education in South Texas. The operation of distance education programs can be quite challenging especially when offering professional programs that require internships, practica and teaching courses that focus on skill development. It is difficult for instance to teach counseling and other skills through the internet. Nevertheless, the department of social work at The University of Texas – Pan American has developed a hybrid distance education program that enables it to effectively deliver a bachelor’s and a master’s in social work in the two remote locations of Laredo and Brownsville Texas with the assistance of modern educational technology. This program provides access to accredited social work programs in a geographic area covering approximately 300 miles in the state of Texas. Without our distance education program prospective students would need to travel up to six hours one way to earn their social work degree. Our distance education program offers its students at these two remote locations the opportunity to earn their degree without having to leave their home town to take any course. The programs are delivered through a combination of Blackboard, teleconference, Wimba, Skype, cellular phones, reduced seating courses, and Face to Face courses taught at remote sites by adjuncts or full time faculty members. UTPA is uniquely positioned to respond to this educational need given that we currently represent the only viable CSWE accredited social work department offering both bachelor’s and master’s degrees in social work south of Austin and Houston, Texas. The only other accredited social work program near the Texas/Mexico border is in the city of El Paso located close to 800 miles away from UTPA. Developing a Student Leadership Institute: Strategies for Recruiting Students using the Web 2.0 and Social Media. Creating new leaders is a task that has been difficult for the past year. This presentation will show how Universidad del Este uses the web 2.0 and social media to recruit students for its student leadership institute. The institute manages web 2.0 technology and social media as the key to recruit students by integrating easy to use application and maintaining a live presence through Facebook, Twitter, Ustream and Youtube. Most of all, the vast majority of the university students are digital natives and are used to this type of technology. This presentation will also show how in less than a year the institute has been formed and how interactivity through the web has influenced many students to participate in the student leadership institute. In addition, the institute’s top projects will be shown. 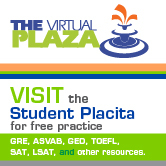 Implementing Web-Based Student Registration. 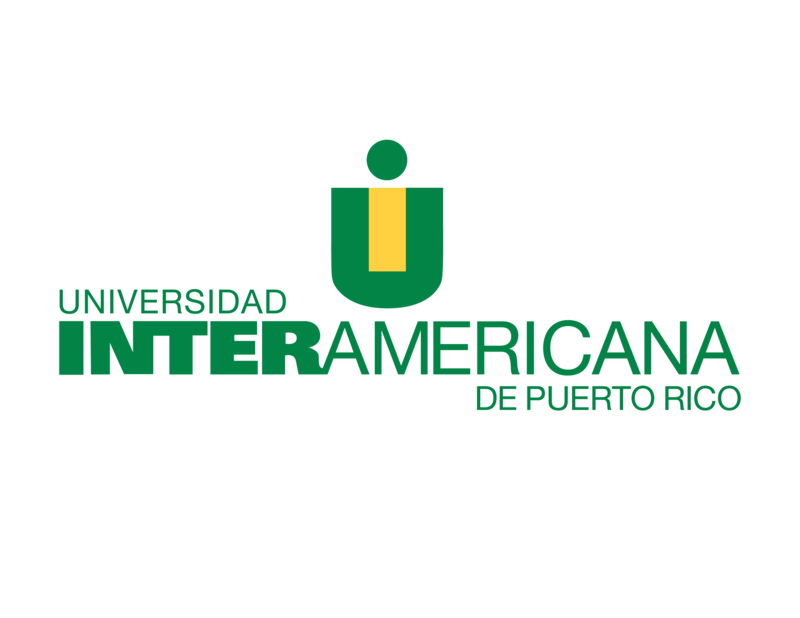 Carlos Albizu University’s San Juan Campus had been looking to implement a web-based registration system for many years. Being a small institution this had been a resource and time challenge that kept the project from completion. After the implementation of a new academic information system, the IT department decided to create a specific action plan to fully implement web-based registration for all students. The process included strategic planning, goal setting, system capacity simulations, writing of documentation, training of students, direct student support, and evaluation of outcomes. 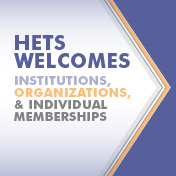 The process has been one year in the making, but given the usual complexities in both IT and Higher Education, the institution has successfully implemented web-based registration which is now available to 100% of students in all academic programs. Best Practices in Instructional Design for Online Education.This presentation will describe the 10 best practices in instructional design for online courses. The speakers will discuss the 10 key points, for effective instructional design, implemented in National University College – Online. This instructional design model is characterized for being eclectic because it integrates different learning theories and philosophies. After presenting the theoretical aspects of major significance, the speakers will show a practical example of how to apply this model on an online course. All attendees will become familiar with the instructional design model for online courses used at National University College – Online. A Tangible Benefit to Art Students is, Widespread use of e-Portfolios. This presentation describes how ePortfolio is used in the Bronx Community College Digital Arts program to engage the student in an ongoing process of self-assessment in their growth and development as students of the visual arts. Throughout the program students are encouraged to use the website as a repository of their work. In order to facilitate the self-reflective process, students are required to include written critiques of their work in ePortfolios as they move through the digital arts program. Through participation in this self-assessment process, the student is called upon to engage in critical thinking, strengthen their written communication skills. More importantly it encourages the student to become self-directed learners with a developing awareness of their needs and capabilities. From a GED to a College Degree:Partnerships for Student Success. How can student partnerships dramatically improve college transition, retention and academic performance? Future Now at Bronx Community College is a campus-based GED and college readiness program in the Bronx. In less than a year, transition rates jumped to 95% and college retention rates quadrupled (80%) by partnering with IMPACT (Improving My Progress At College Today), a learner-led organization of program students and alumni. Participants will learn strategies to develop a student-centered program supported by authentic learner leadership that significantly and steadily improves student success in both GED and college. AM Amphitheater 1 Margot A. Edlin, Ed.D. Using Visual Literacy to Enhance English Language, Critical thinking and Observational Skills. The project used the Visual Thinking Strategies methodology to teach visual literacy, critical thinking skills and English Language Skills to ESL students in a developmental reading class through the use of art images. The computerized ACT COMPASS reading exam to assess students reading skills at the beginning of the semester and again at the end. Students exposed to this method achieved higher pass rates than those students who were not exposed to the method. Assistant Provost for Internationalization Fort Hays State University Note: This presentation was not showcased during the conference. Please apologize any inconveniences. The FHSU Graduate School Global Gateways Program. The FHSU Graduate School Global Gateways Program is an innovative internationalization project which is designed to deliver affordable online master’s degree program access to student markets outside of the United States. Note: This presentation was not showcased during the conference. Please apologize any inconveniences. Interactive Videoconferencing: Technology to overcome barriers in higher education in PR. This project presents an approach based on the capabilities of interactive videoconferencing and communications technology that enables higher education institutions in Puerto Rico to facilitate access to education, increase recruitment, and improve tools and technology resources. Accelerated advances in technology are a force that has affected education in the last twenty years. The most significant element of this impact is in the decision-making process of educational institutions related to the upgrades of its technology in recent years. The current advantages of technological equipment and telecommunications have challenged the traditional paradigm of teaching and learning (Bonilla, 2009). The teaching-learning process is one that has become the traditional paradigm and it is added to the virtual environment in education. Part of this educational revolution is projected through the integration of new technologies to the teaching-learning process. These developments make the educational institutions prepared to integrate new forms of education to students. Institutions have had to transform their technological guidelines and their offerings and academic curriculum aligned educational trends impacted by technological advances and globalization. (This presentation will be conducted in Spanish, translation available.) Learning Opportunities for Hispanics in the United States through a Hybrid/Distance Education Project. EDP College presents the implementation of a proposed new hybrid distance education aimed at the Hispanic community in America. Responding to the need of the Hispanic population in America who want to complete a college degree, EDP decided to adapt one of its existing academic offerings, Associate Degree in Nursing, to ensure compliance with the requirements of the states of Florida and New York.